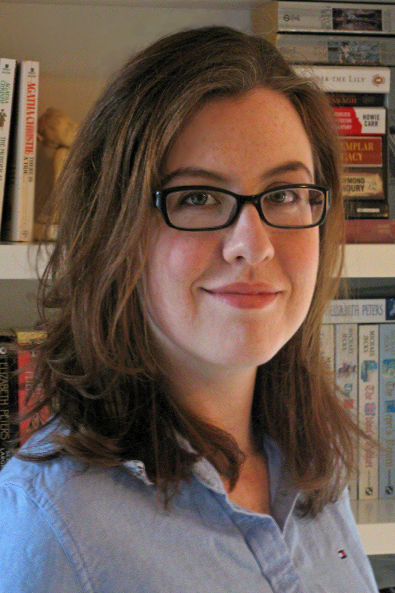 For the third and the last post of the Interview with Brand-new Librarians series, I interviewed Laura O’Brien. Laura graduated from Simmons Graduate School of Library and Information Science in May, 2009. Laura had completed her eight months’ of job search for the first professional librarian position a week before the ALA 2010 Midwinter where I met her first-time. She is now a Research and Instruction Librarian at Wellesley College and tweets as @niathena. I wanted to find out how she continued to stay optimistic and persistent throughout her job search since eight months after graduation can be a very challenging and trying time to endure to any job-seeking MLS graduate. My name is Laura O’Brien, and since February 2010 I’ve been employed at Wellesley College, just outside Boston, as a Research and Instruction Librarian. Before I entered the academic library world, I was part of the (gasp!) for-profit education industry. I ran a K – 16 tutoring center for two and a half years, and collaborated with the founder of the company to build a successful in-school tutoring program. That experience developed my language for instruction and inspired me to explore librarianship as a means of developing creative and effective ways to teach critical thinking skills. 2. When did you get your MLS, when did you start your first professional librarian position, how long did the job search take, and how did you prepare yourself for it? I received my MS in Library and Information Science from Simmons College in May 2009. I pursued my degree full-time over two years, while working initially one, then two part-time academic reference and instruction positions, gaining valuable experience in information literacy instruction and research assistance with a variety of student groups, including first-generation college students, adult students, and ESL students. As a post-grad I knew I needed to stay active to give myself more opportunities to develop my skills and establish myself as a professional and attractive candidate to potential employers. I sought out as many useful professional development opportunities as possible, even if I had to pay my own way to attend a conference I was interested in. Fortunately, many regional or statewide professional organizations have quality programming for a lower fee than ALA, and many reduce rates even further for student members. I also joined non-library professional organizations related to my technology and academic interests, and volunteered as an instructor with ESL adult learners. When the time came to start my job search, hiring freezes and “depending on funding” positions were an unfortunate fact of the academic job market. While I was lucky enough to continue on at one of my pre-professional positions, I encountered many discouraging setbacks in the hunt for professional employment. There was, for example, the memorable instance where a previously offered job vanished into thin air. It goes without saying—that was an exceedingly trying week. There was validation of a kind (if not the kind that came with a salary) in knowing that I’d done everything right. I stayed motivated and redoubled my efforts. In hindsight, the rescinded job offer was a blessing in disguise as in January 2010 I was offered an even more exciting opportunity with Wellesley College, eight months after earning my MLS. 3. How did you do your job search? What were some of the things that worked and didn’t? What was the greatest challenge? To keep my job search focused, I created a list of criteria I’d built for the position I was looking for–much like a job posting, this list of criteria broke down into Required and Desirable categories. This was really helpful for evaluating prospects from the list of open positions scrolling through my RSS feed reader. Throughout the week I drafted application materials and followed up with a once-a-week meeting with a friend (who had worked in academia, but was not a librarian). This was a second or third pair of eyes to review each cover letter, but it was also a precious motivational tool, allowing me to take weekly stock of progress and evaluate my job search objectively. In my experience, sending a template cover letter and unedited resume or CV was worse than a waste of time. Instead, I kept a file of my previous applications, with notes on each application’s progress. (I also saved the job posting in a separate file, since institutions sometimes take a posting down once they have reached the late interview or job offer stage with candidates.) This gave me a library of material to work from when customizing a cover letter for a particular position. I suspect that most search committees—at least, search committees at institutions I would want to work for—can smell the lack of effort and interest shown by a boilerplate application. The Career Education Center at my LIS program offered workshops for the librarian job hunt, resume/CV and cover letter review, and most useful of all, mock interviews. Since this was my first foray into the academic hiring process, I took advantage of all of these, but mock interviews were key, particularly before the dreaded phone intervie w. It’s difficult to attain a level of comfort when answering tough questions with three to eight people in a conference room on the other end of a phone line, but practice, and feedback from a career counselor, does wonders. Despite the length of my job search, I feel as though it was objectively pretty successful. I achieved about a 40% response rate on my applications, my phone interviews netted me a second round interview 2/3 of the time, and I received several job offers that I was able to choose from for the best fit. 4. Is your work as the professional librarian what you expected and prepared yourself for while you were in the MLS program? Otherwise, what would you have done differently if you knew? I knew that my interests lay in reference and information literacy before starting my MLS. I did informational interviewing with academic librarians and started working as soon as possible in academic libraries to get a good grasp of what classes, technologies, and skills would be the most helpful to me in a professional position. Beyond the core curriculum, I took reference courses in fields of study outside my own academic background (which was in English literature and history), technology courses, and an instruction course that gave me experience in lesson and program planning in a library setting. I really encourage LIS students to be strategic about their learning and take responsibility for their own development as professionals. The work I do today—planning instruction at the classroom and the program level, implementing instructional technologies, building relationships with and supporting the research of students and faculty—is very much what I’d prepared myself for as an MLS candidate. I would have loved the opportunity to branch out further in my classwork to explore more technologies and types of librarianship such as special collections, since these are areas I work closely with at Wellesley. However, one of the great things about my position is that collaboration and learning are strongly encouraged, so I have the opportunity to participate in projects that expand my knowledge. 5. Any advice for many MLS students who will be soon graduating and looking for their first professional librarian position? Don’t hesitate to call yourself and the work you do “professional”. Just because your work experience took place prior to obtaining your degree doesn’t make it any less valuable or any less a representation of how you can contribute to a potential employer. Don’t discount non-library work experience. It can be what makes you unique and desirable. For me, the key was to make it clear to employers how my skills as an administrator and educator in a for-profit industry could and did transfer to fulfill their needs. That being said, if you plan to work in libraries (or information technology or any related field) the job search will be considerably easier if you have work experiences in those areas prior to graduation. Finally, even a long job search (and one with certain detours) can be successful, so keep at it—the right thing will come along if you’re prepared. For the second post of the Interview with Brand-new Librarians series, I interviewed Kiyomi Deards. Kiyomi is an ex-chemist who quit her full-time chemist work in order to attend an MLS program full-time. She loves science and research and writes at her blog, The Library Adventures of Kiyomi and tweets as @KiyomiD. I met Kiyomi online and then in person at this year’s ALA Annual Conference. At that time, she was in the middle of her post-MLS job search. She got a job offer shortly after the conference and moved from California to Nebraska about two months ago to start her new first-professional librarian position. Now she is an Assistant Professor in the Reference and Instruction department of the Don L. Love Memorial Library of the University of Nebraska-Lincoln. Below she offers great tips and suggestions about how to find relevant work experience while attending the library school full-time from her own experience and talks about her adventurous transition from being an MLS student to becoming a full-time professional librarian. My name is Kiyomi Deards and I am an Assistant Professor in the Reference and Instruction department of the University of Nebraska Lincoln (UNL) Library. I am also the subject librarian for biological sciences, biochemistry, and chemistry. I received my MSLIS on June 12, 2010 from Drexel University and began my first paying library position on August 2, 2010. I first began submitting applications in November of 2009 for a position that began in June of 2010, the position I took at UNL was the third or fourth position I applied for out of 10 applications sent (I withdrew my name from one of these before their review date since I had already accepted the UNL position). Previously, I volunteered at the IPL2, formerly the Internet Public Library, answering e-reference questions online for a year, and volunteered 2-6 hours per week for a year at a semi-local botany research library. I used this experience, and my work as a chemist as an excuse to apply for jobs needing up to 2 years of experience, or asking for work in an academic environment. Research library experience can often be substituted for academic library experience and they are very similar in many ways. Local non-profit museum and botanic garden libraries often need help and are willing to take people on a more flexible schedule as long as their open hours correspond with when you can come in. If you do web site work you can often work from home in your spare time once you do some initial in person consultation. In my case I was able to leverage e-reference, website, cataloging, and scientist interaction experience to make myself a more attractive candidate. My job search was focused on science, technology, instruction or outreach positions. In retrospect I could have saved myself a lot of time by just focusing on science and technology librarian positions since that is A) my passion, and B) my background as a chemist. This would have been a more efficient use of my time and saved me a lot of stress analyzing cover letters I didn’t need to write. If possible try and get a different person to do the final review with a copy of the job listing. I had a very embarrassing incident with Word’s auto-fix feature which neither I or my 3 reviewers caught because the subject area names were only a couple of letters different. Fresh eyes are really a plus at the final review stage. For the applications that I sent out which were clearly defined as science or technology based positions I had approximately a 45% response rate. Having 2-3 people review each cover letter. Having current and former library managers review my initial cover letters and tell me what I was doing wrong and what was and was not the professional way to state things. Deciding what my area of interest was and letting all my teachers, classmates, friends, and anyone who asked know what that area was while remaining open to suggestions of other possibilities. Differentiating between what I needed and wanted from a job and an area. We all have certain things that are non-negotiable so it’s best not to waste time applying for jobs that would put you in a situation where you had to do something, or live somewhere, that you hate. My degree was a general MSLIS concentration and for my 3 electives I took reference courses in subject areas outside my area of expertise, information literacy instruction, and archives I. This was nice because it gave me a very broad overview of possible resources available from a university and as libraries and archives work together and have more overlapping areas of interest having some basic knowledge of how archives work. It also gave me experience in looking at instruction from a library point of view and in creating a lesson plan from scratch (always a bonus when you can say that in an interview). I think overall I got a good general education which supplements my subject knowledge. It’s a bit early in my work to define how well it relates to my education since I’m still learning the ropes at my institution but I’ll give it try. These are the things that I learned through the MLS program and I use daily at my work. An open mind, a willingness to learn, and the ability to connect to others are (in my opinion) your most valuable assets. In my last blog post, I talked about how soon-to-be librarians lacking professional involvement and networking can build a good foundation for their post-MLS job search through the work itself. I also thought about adding some practical tips about the post-MLS job search. But having worked as a librarian for almost two years, I realized that I may not count as a really “brand-new” librarian. So instead, I decided to interview three brilliant “really brand-new” academic librarians who successfully got their first librarian position shortly after their graduation. 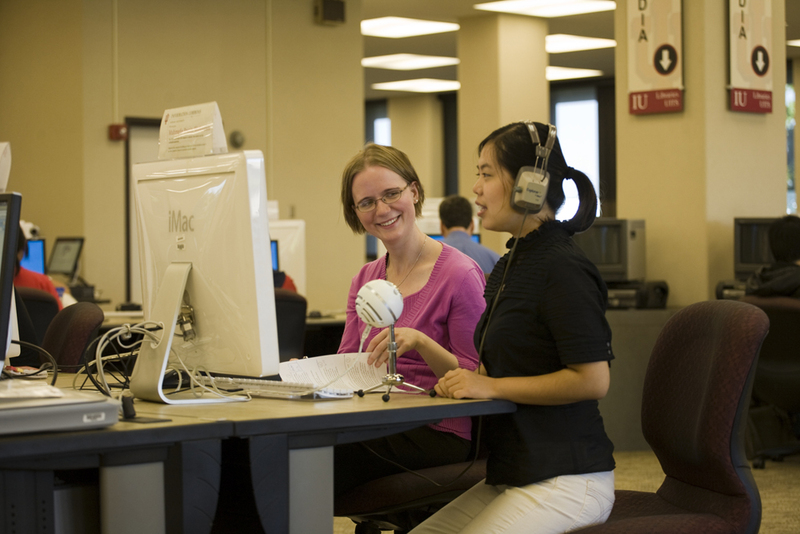 This post features the first of this series, the interview with Rachel Slough, the E-Learning Librarian at the University of Wisconsin-La Crosse. I met Rachel at the ACRL New Members Discussion Group meeting at ALA Midwinter 2010, where she gave a wonderful presentation. “Hot Starts for Hot Shots: Using Technology to Start Instruction.” At that time, she was a graduate student at Indiana University School of Library and Information Science and also the Graduate Assistant for Teaching & Learning. Now, she is in her first professional librarian position which she started less than a month ago. 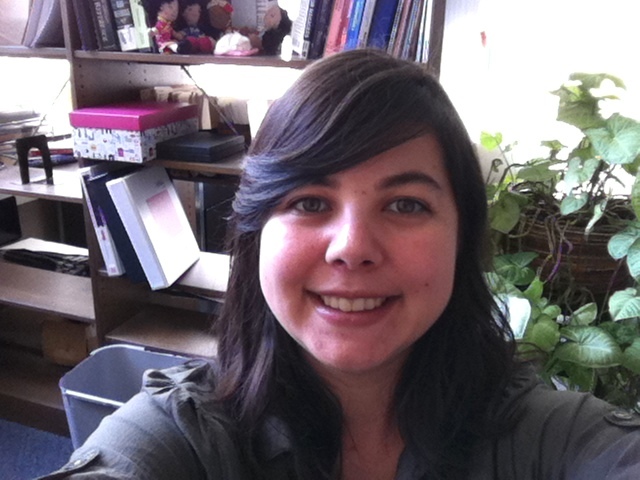 Rachel writes at her blog, Lib and Learn and tweets as @rslough. Below she talks about her post-MLS job search, the challenges, and the importance of self-care. My name is Rachel Slough, and I am the E-Learning Librarian at the University of Wisconsin-La Crosse. I received my MLS from Indiana University in May 2010, and started my first professional job in August. I started applying for jobs about six months before graduation, and received my first offer (which I accepted excitedly!) on graduation day. I got the librarian “bug” as an undergraduate through an internship with the Writing Center and two librarians to help provide instruction and guide students through all steps of the research process. In library school, I worked for the head of the Teaching and Learning department, for the Reference department, and the Government Documents department. After my first semester of library school, I took a leave of absence to spend a year in Chile teaching on a Fulbright grant, which also gave me a chance to volunteer with several library-related projects. When I returned to library school, I volunteered for a committee with the Society for Scholarly Publishing and participated in the ALA Emerging Leaders program. I really believe in applying and putting yourself out there for things that spark your interest, and maybe even scare you a little, because you never know what will work out or where you’ll find joy, inspiration, and new perspectives. I was really excited about libraries when I started library school–and still am!–and finding ways to get involved and be active within the profession connected me with inspiring people and gave me energy. I subscribed to RSS feeds with job postings: LISNews, ALA JobLIST, Chronicle of Higher Education, University of Texas LIS program, etc. Everyday I went through and starred ones that were of interest, and blocked off 3-6 hours one day each week to go through and apply to whatever ones that I’d marked. I also would have some kind of reward for myself after I finished applications for the week! For me, blocking off a specific time every week, rather than doing it every day, and having a set space in the library where I only worked on job applications really helped. Most of the job search happened my last semester of library school, and my adviser recommended taking an internship and an independent research course, which allowed me to be a little more flexible with my time. This was great advice that I would highly recommend. One of the hardest things for me was that the dynamics with my classmates changed. There was definitely a divide between those of us who were on the job search and those who weren’t, and things were different with my classmates graduating at the same time. It’s just very hard when we’re all applying for the same jobs, and we want to talk about it because it’s stressful and scary, but at the same time, you may or may not want to know that your classmate has been offered an in-person interview for your “dream” job or that your best friend has an on-site interview for the same place you do! As people started getting jobs, it got easier, but there was definitely a period where it was particularly difficult. I also found it tough to not get discouraged or overly anxious. Everyone told me that it really would be ok, that I would find something, etc., but it’s very hard to believe this when you’re wrapped up in the process and receiving rejection letters left and right, or worse, not hearing anything at all. Once the interviews started, it was hard to keep up the energy and stamina, as well as to devote the time for preparation while still applying to other positions. I have been a professional librarian for less than a month, so that’s a hard question to answer. While in library school, I spent a lot of time and class work on the areas that most interested me. I wish that I could have also taken a greater variety so that I better understood what my colleagues do. I’m not sure how to find that balance, but I would encourage any MLS student to seek it. I think I also would have tried to spend more time with PhD students. Much of my work, and I think this is true for many of my colleagues, is working with faculty and finding ways we can support their teaching and research needs. Finding ways to connect with them, and knowing their needs even as grad students in other disciplines, would be helpful. I would encourage students to think of themselves as “real” librarians as much as possible: submit articles for publication , look at grant opportunities, apply to present at conferences, attend webinars or take online training to supplement your library school coursework, get involved with library organizations at the local, state, and/or national level. I know some of these can be expensive, but there are also scholarships, and I found the investment well worth it. My conference experiences were valuable, and getting involved with organizations gave me new perspectives that were helpful in interviews, and made it easier to get committee appointments now when they count toward my retention. Conferences and committees also helped me build a professional network, which was immensely helpful during the job search, and I’m sure will continue to be throughout my career. I would also really emphasize the importance of self-care. Working out, eating chocolate (but not exclusively), and finding ways to remind yourself that you are a person outside of your librarian-self are also really key during this process. And hang in there!